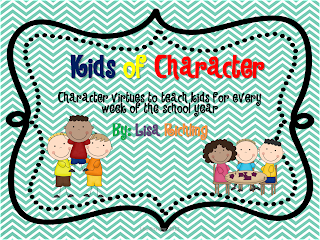 Yearn to Learn is giving away 2 of her new writing packs. 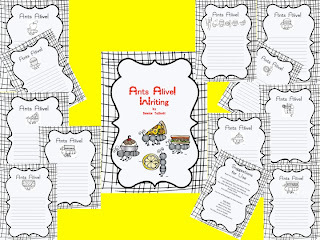 Learning is Something to Treasure is giving away her newest product. 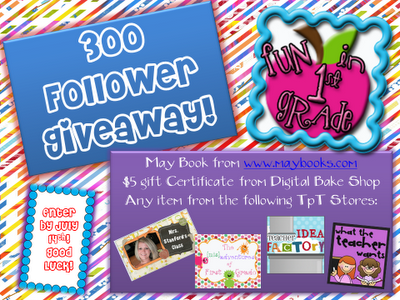 Fun in 1st Grade is giving away a May Book (love it), $5 to Digital Bake Shop and some TpT goodies. I want to thank you for always posting these great giveaways! I am a 1st grade teacher at a Catholic school. I am also a mother to 5 children. They are 12, 6, 4, 2, and 6 months. My 6 year old is autistic. 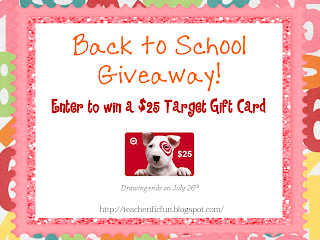 My job and family leave me with very little free time to search for all of the giveaways that I would like to enter! I am so thankful for blogs like yours that give such useful information! 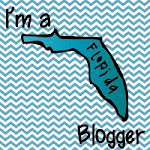 I would love to start my own blog someday, but just don't have the time right now! Thanks again!